Money Matters and So Do Your Dreams: When It's Time . . . When It's Time . . .
You arrive a junction in your life when all the preparation you did for retirement is now here. It’s like a banquet. All the food preparation is complete; now it’s time to feast. In March, the blogs focused on “Retirement Planning” which certainly is an important topic, considering we are all heading in this direction. Understanding how to create a retirement income with your hard-earned, scrimped-and-saved dollars is an overwhelming and often confusing task. Along comes Daryl Diamond, a retirement authority, who takes “complicated” and once again simplifies the process into a logical format anyone can clearly understand. The mystery of arranging your investments is unraveled so that you have peace of mind knowing you can minimize risk and earn a reasonable rate of return. People do not like risk. They will do anything to protect their principal investments. Who can blame them? Markets can be a scary place to invest your money. However, settling for rates of return which are between 1% and 2% over 1 to 5 year terms is also just as scary. Those seeking a rate of return that is absolutely guaranteed may only do so with GIC investments (Guaranteed Investments Certificates). 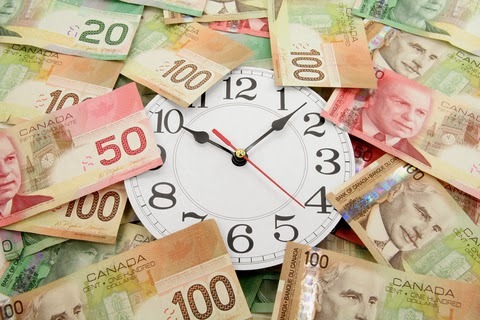 Can we afford to park our investments at today’s rates for long periods of time? Imagine if you retire when you are 65, you can still expect to live for another 19.7 years based on the information shared here from Statistics Canada. Investment withdrawals combined with benefits from Old Age Security and the Canada Pension Plan must work in conjunction to support your needs over this twenty-year period. If longevity is prevalent in your family, then you need to prepare for a longer time frame. The point to this tale is to look at the markets to optimize returns on your investments. Sometimes it’s our lack of understanding that prevents us from doing so. 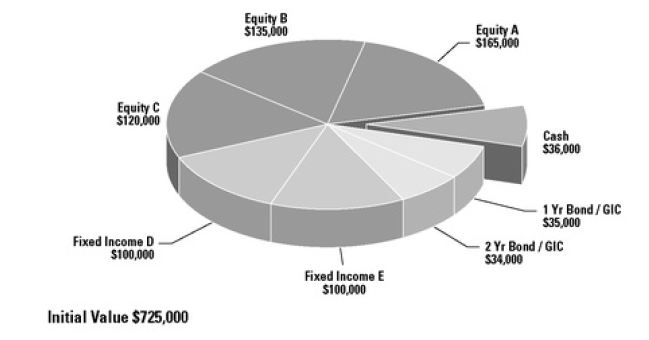 The information presented in “Can Investing be Easy” explains properly diversifying a combination of cash, fixed income, and equity investments is essential to maximize rates of return. Daryl Diamond’s “Cash Wedge Investment Strategy” is shared in his books, Buying Time and Your Retirement Income Blueprint. The concept recommends that our overall investments have a built-in safety feature for protection from volatile markets by simply allocating a portion to guaranteed investments or money market funds to cover three-years of annual lifestyle expenses. Our “Cash Wedge” is the money expected to be withdrawn and spent in the current year. Since markets generally recover within three years from any downturn in the markets, having an additional two years in guaranteed investments is for added protection. The remainder of the investments is held in fixed income and equity mutual funds which may even include a combination of individual interest-bearing or dividend-paying securities. These proportions would be tailored specifically to your particular needs and risk tolerance. Since our expectation is to earn returns higher than GIC investments, this is possible with exposure in the markets. When the bond and equity markets are performing well shifting the gains (profits) to replenish the “Cash Wedge” will extend the life of your retirement income. If the bond and equity markets are under-performing, then withdrawals will be made from the guaranteed investments. Working closely with an investment advisor with the knowledge and expertise to walk us through this process is recommended. “The Cash Wedge” is our safeguard against unpredictable markets. Positioning a specific amount of our retirement income in safe investments for the allotted time frame of three years offers peace of mind knowing that changes are not required to our lifestyle. We will have established a consistent stream of income regardless of market conditions. To learn more, Daryl Diamond provides explicit details about creating your Cash Wedge at his website, www.boomersblueprint.com. Click here for his three parts series.